Exercising your dog doesn’t have to stop at walking. There are many different types of fitness that could benefit your pet and you! 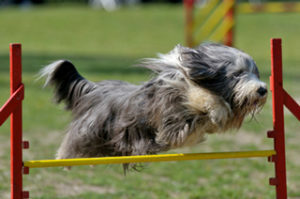 Agility is not only a fun and stimulating activity for your dog, it can also help to strengthen the owner-dog bond. The structured but rewarding training can also help to build confidence in a nervous dog. Agility classes are good fun for owners too, helping them to meet other like minded owners in the area. Many people go along for one class to see what it’s all about and become completely hooked right from the start. Is a timed event, consisting of a road map of obstacles, that your dog needs to negotiate in a particular order with in a time limit. Some of the most popular obstacle training course equipment includes tunnels, hoops, seesaws, a-frames, walk tables, jumps and weave polls – to name but a few! Most dogs will start on a novice team and build up to the more difficult courses, there are also an array of courses, such as standard (15-22 obstacles), power & speed (time trails), teams (2 or 3 handlers with 2 or 3 dogs) jumps, and even junior – which is for the junior handler aged 18 and under. The fast and furious sport of Flyball utilizes the dog’s natural ability to catch and retrieve. 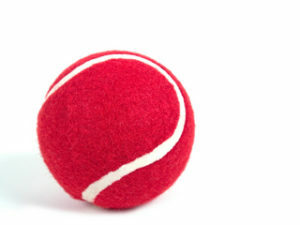 Teams of dogs compete together, to race in relay over a series of hurdles to a box, which releases a ball for them to catch once they have pressed a large push pad. They then return to their handler with the ball before the next dog can be released. Dogs of all sizes can compete together and, because the dogs do all the work, owners of any fitness and ability can get involved. All sorts of dogs excel in the sport, with speed, fitness and intelligence being great attributes, and it is a useful way to exercise highly energetic dogs with a strong desire to work. The sport of Canicross has recently become highly popular, turning the traditional run with the dog into a highly enjoyable sport. Dogs and owners run cross-country together, attached by a bungee line – dogs wearing a harness and owners a belt. Participants are timed across the courses within different bands and levels, which means that people of different fitness, abilities and ages can take part, with many children getting involved. These activities are only appropriate once dogs have finished growing as highly intensive exercise is not recommended whilst the skeleton is still developing. However good puppy training classes will provide dogs with a firm foundation when they to start practicing catching, retrieving and basic commands for example. Puppy training classes are an excellent place to start and get information about the sports available for your dog. Ask your vet about this if you are at all unsure if any of these activities will suit your dog.